Below is the seating chart for Freedom Hall. 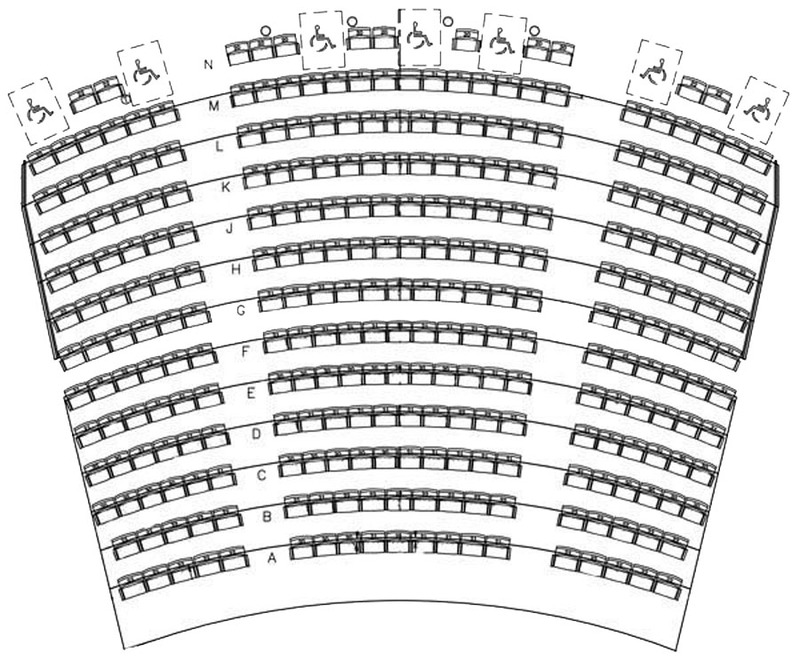 Our Nathan Manilow Theatre comfortably seats 287 patrons with room to accommodate 7 wheelchairs. Our intimate Nathan Manilow Theatre is liked by audiences and top acts including Peter Mayer, Billy Branch, Windham Hill, Tom Dreesen, Cherish the Ladies, and many others. Critics have stated every seat is a good seat at Freedom Hall! Freedom Hall is a premier Chicago Southland theatre and concert venue located in Park Forest, Illinois. We offer music concerts and theatre performances for people of all ages. Freedom Hall has patrons from Park Forest, Chicago, Frankfort, Tinley Park, Mokena, Homewood, Flossmoor, Olympia Fields, Downers Grove, Crete, Peotone, Manteno, Orland Park, as well as Northwest Indiana and other Chicago suburbs in Illinois.